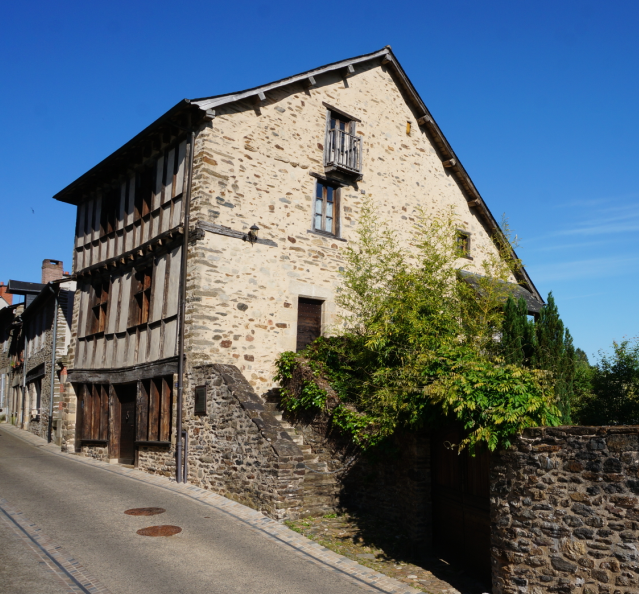 Uzerche - Site de visituzerche ! 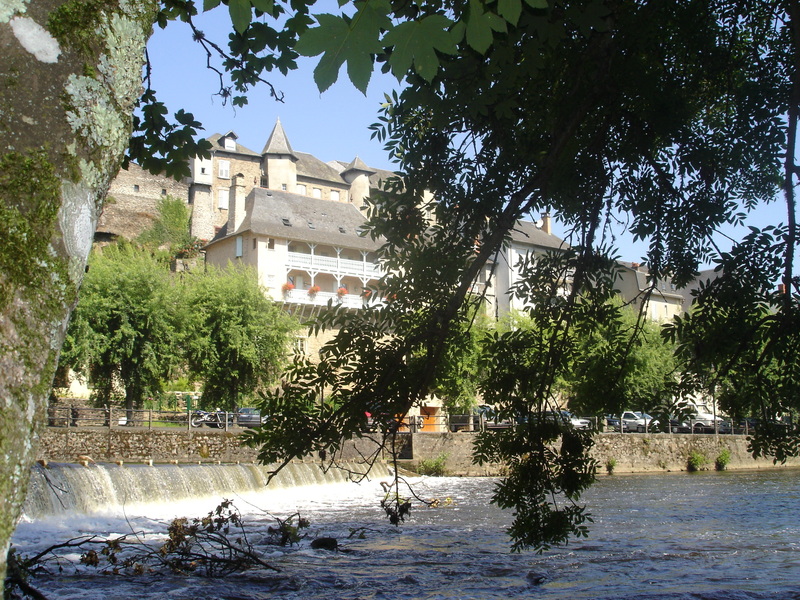 Built on a prominent hill nearly surrounded by a loop of the Vézère river, Uzerche attracted numerous peoples. Its strategic location near a significant road junction made its destiny. Gallics were the first inhabitants of Uzerche during the Bronze Age. Subsequently, Uzerche suffered from many attacks. Plundered and destroyed by the Visigoths in the 6th century, Uzerche was rebuilt in the 7th century with a first fortified enclosure. 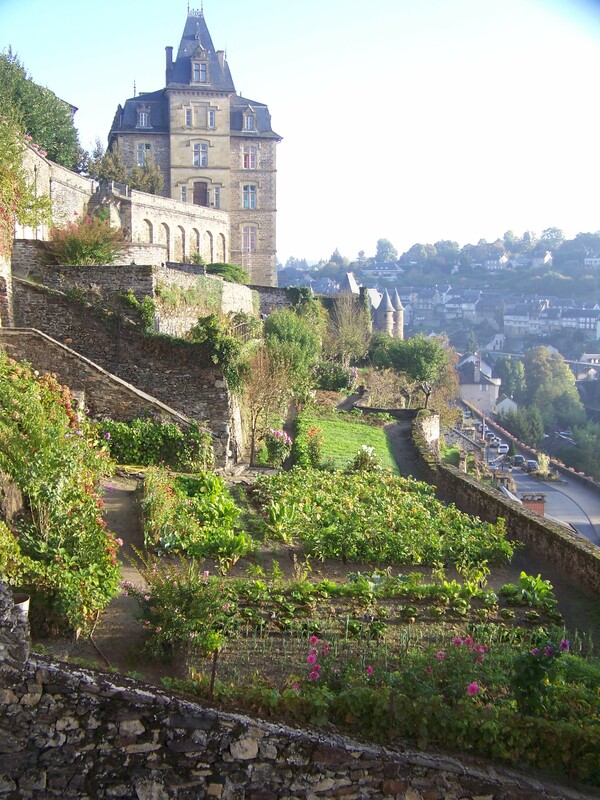 During the 8th century, King Pépin made the city impregnable by reinforcing fortifications with 18 additional towers. That is how Uzerche obtained the status of Royal Town. The Benedictine Monastery was founded in the middle of the 10th century. 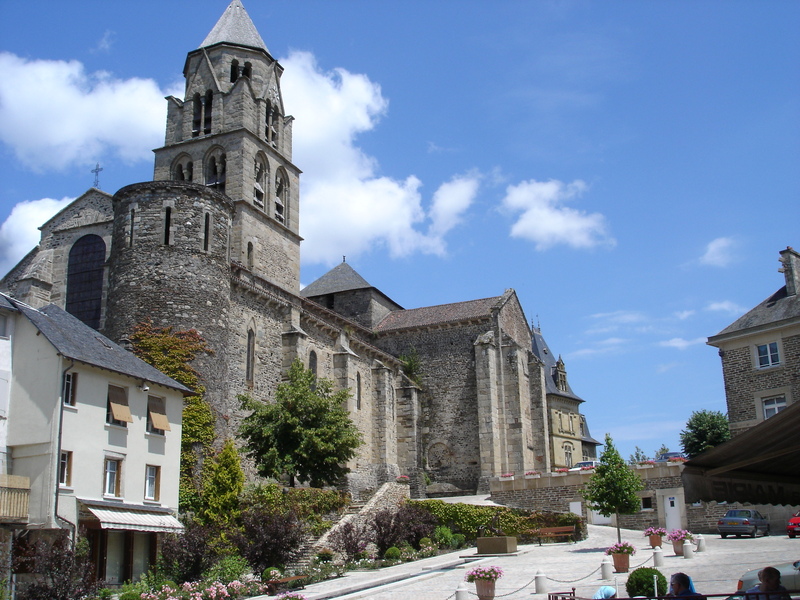 The religious authority was prevailing during the Middle Age; the 11th and 12th centuries were the most flourishing period for the Uzerche abbey. 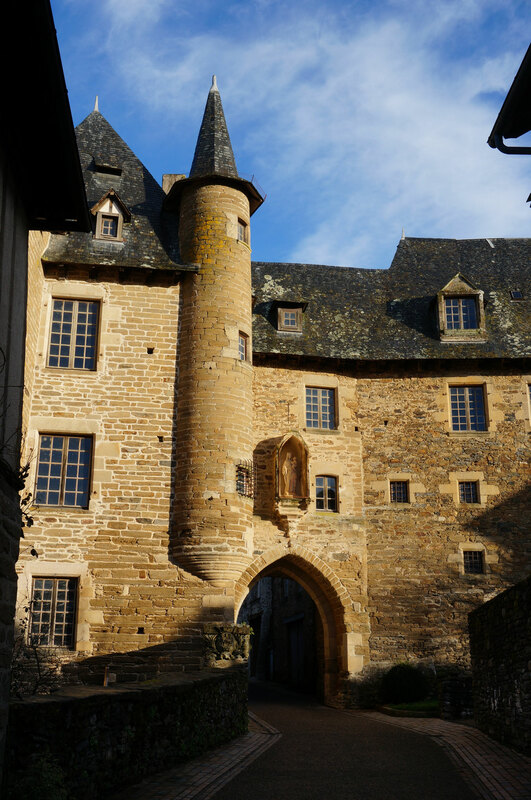 Uzerche was also honoured by the visit of important personalities such as Henry II of England, his wife, Aliénor of Aquitaine and their son Richard the Lionheart. The important poetic work of the troubadour Gaucelm Faidit left its mark on the 12th century. The town symbol, the Porte Bécharie is the only town to subsist of the 9 that were part of the 14th century surrounding wall. King Louis XI spent time in the Bécharie castle in 1463. After bitter rivalries, Uzerche was given the siege of a royal jurisdiction of a seneschal from the Bordeaux Parliament. This saying finds its origins in the 1èth century. At this time, the Nobles of the Robe and the upper class were competing through their architecture. 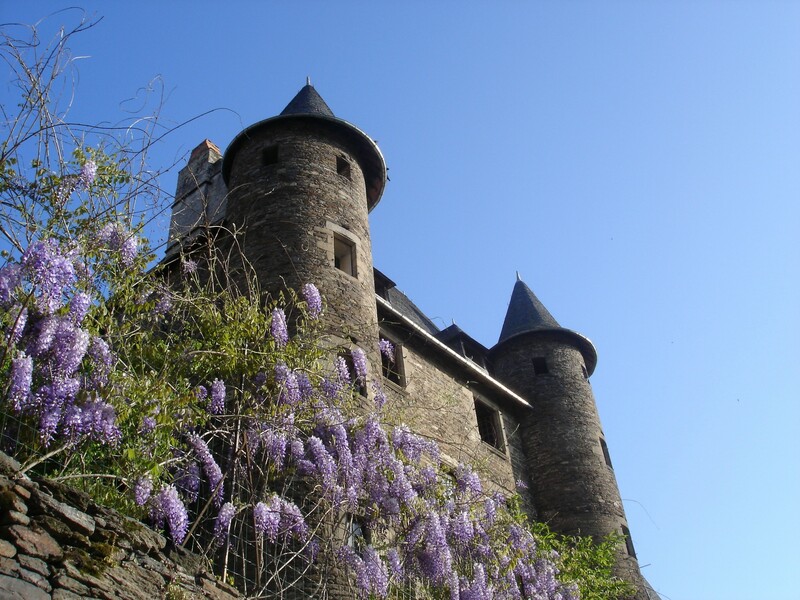 Their homes similar to small chateaus still form a remarkable and rare architectural statement. 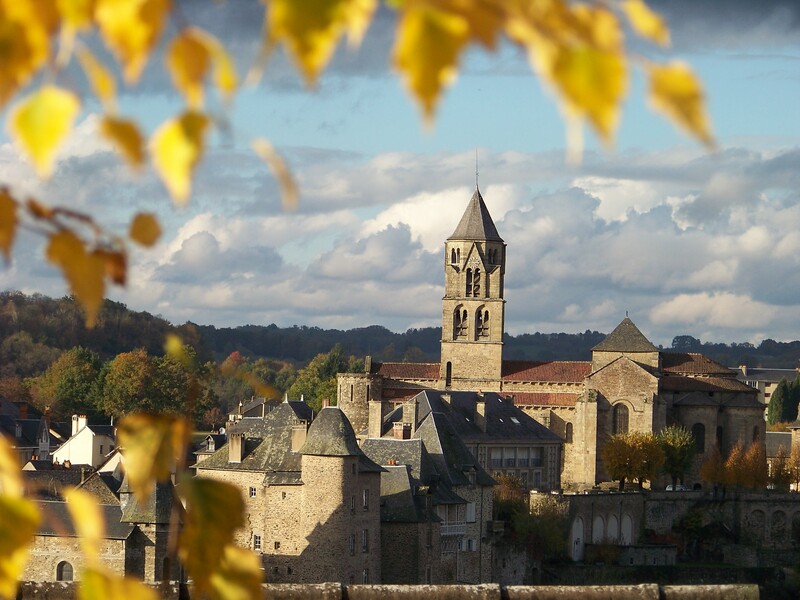 Uzerche, nicknamed the “Pearl of Limousin” is a town with singular charm: towers and bell towers are facing each other, stone walls and slate roofs are mixed up. The magic of the place spreads power, wealth and harmony. 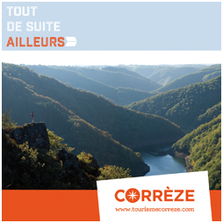 In a new touristic dynamics, Uzerche belongs to the circle of the “100 Most Beautiful Detours of France”. Closed in 2006, the former Paper mill reappears throughout the restorations as an Eco district, where shops, services and associations have emerged. While respecting its past industrial heritage, exhibitions, concerts, shows, local markets and so on… take place regularly and give a rhyme to the local cultural life throughout the year. From the French-style sweetness of life to the Dolce Vita! Since 2002, Uzerche is twined with the town of Serravalle Pistoese, Tuscany. This is with goodwill and exchange that those two medieval towns build the Europe of today and tomorrow. 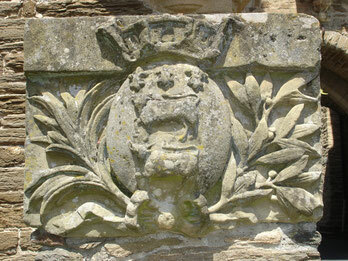 Have an overview of the historical, architectural and human heritage of the town with the heritage route. Walk along the “rural ring road” with the Meander route. 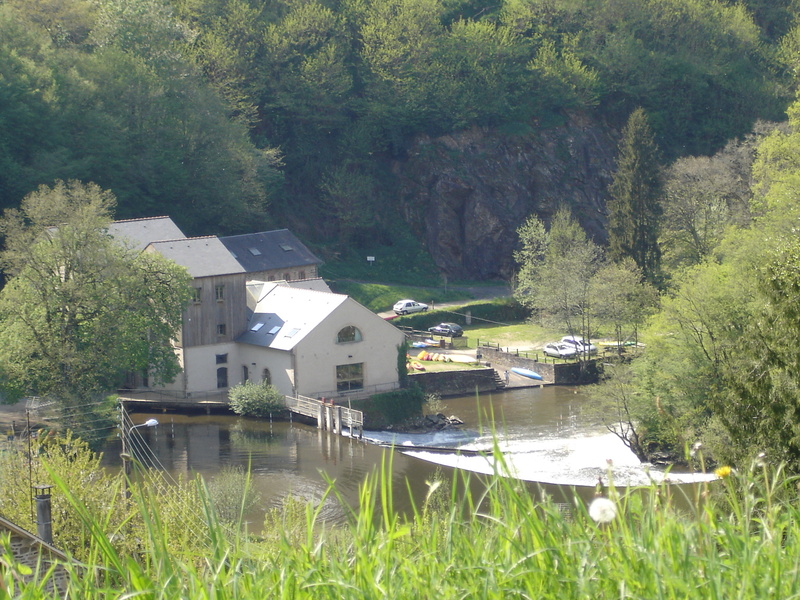 Discover the former railway and the Vezere riverbanks with the Simone de Beauvoir route.